The smartwatch market is due shortly richer product: The Swiss watchmaker has MyKronoz 2017 a new model at the Mobile World Congress unveiled . This is due to the name of ZeTime and is intended to sweep the competition above all in terms of electricity consumption. The built-in 200-milliamperes-strong lithium-ion battery holds according to the manufacturer whopping 30 days without box stop at the socket. The ZeTime is nevertheless a pure-breed Smartwatch with 1.22 inch large digital display and not a hybrid clock. The screen, which is framed by a stainless steel case, dissolves with 240x240 pixels. 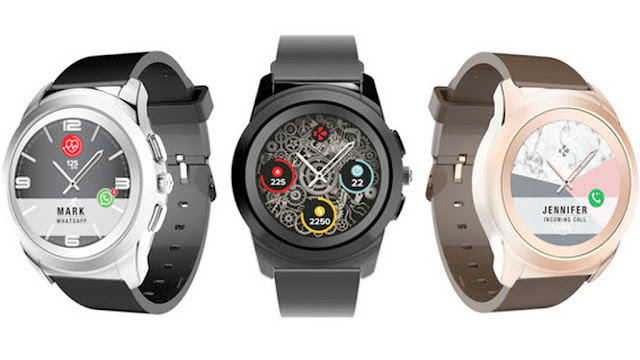 The Smartwatch will be available in silver, black, pink and gold. MyKronoz also offers bracelets in different colors and materials. The ZeTime has a 3-axis acceleration sensor and an optical heart rate monitor . It is watertight up to a depth of 30 meters. The clock works with Android phones from version 4.3 and with iPhones from iOS 8 together. The market launch dates MyKronoz on September 2017: The watch comes at a price of 200 US dollars (just under 190 euros) in the trade.